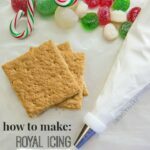 Follow this easy step by step guide on How to Make Royal Icing to make sugar cookie icing and to decorate gingerbread houses! 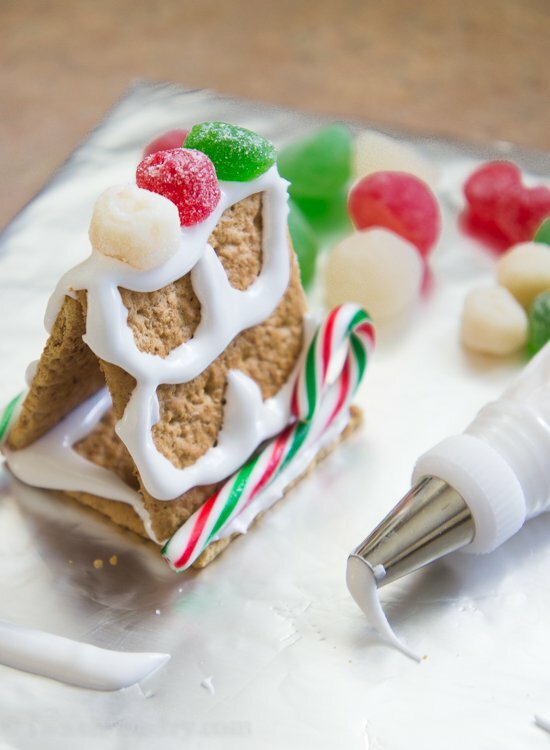 If you are looking for the perfect frosting to glue your gingerbread house together, then you’re going to want to use Royal Icing. Royal Icing is also the perfect icing for decorating sugar cookies! 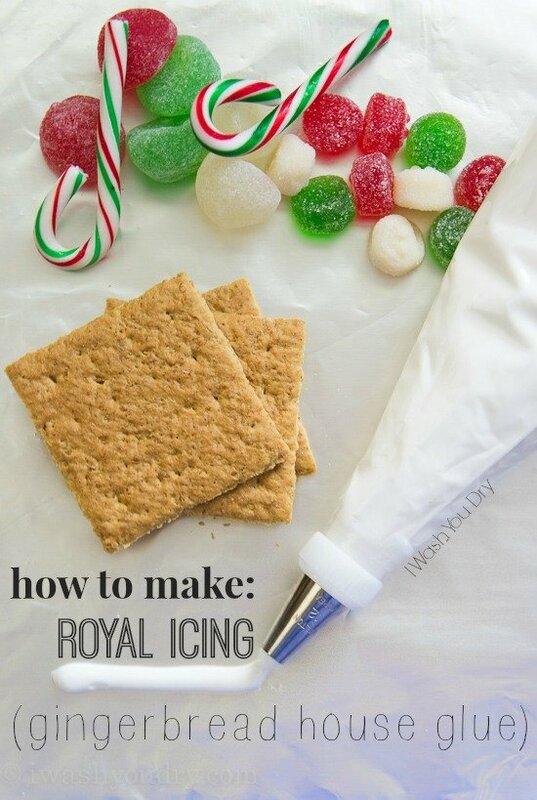 So I’m going to teach you how to make Royal Icing right here, right now! 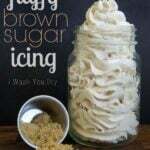 You can make this in the bowl of your stand mixer or using a hand mixer. 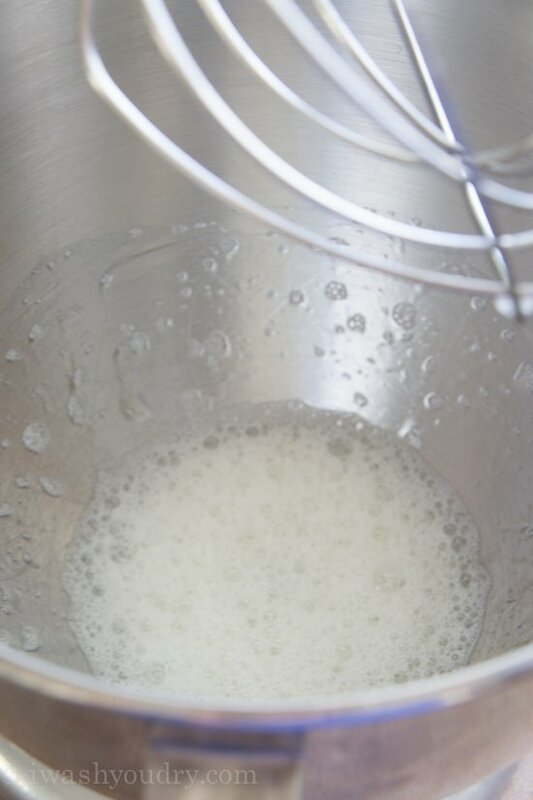 First thing you need to do is beat your egg whites until they are frothy (as pictured above). Then you will gradually add powdered sugar. Anywhere between 3-4 cups of powdered sugar depending on how big your egg whites are. Add the vanilla extract to give it a nice flavor. 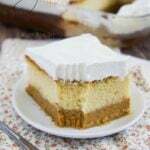 You could use lemon juice, almond extract, or any other extract you prefer (in place of the vanilla) to flavor the icing, just make sure you’re using clear extracts to keep the color of the icing white. 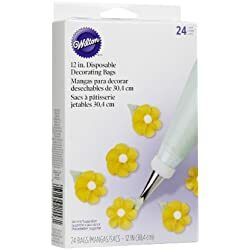 Once it’s reached a thick and smooth consistency you can place it directly into a zip close bag for storing, or into a frosting bag fitted with tip for immediate use. 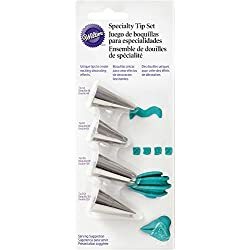 If you are wanting to add color to your frosting you would simply beat in your color choice (gel colors work best) at the end, just a drop or two at a time, then decide if the color is to your liking, add more if necessary. When making a gingerbread house, plain white works for me! This frosting holds together wonderfully. That little teepee was solid within less than two minutes! In a large bowl beat the egg whites until frothy. 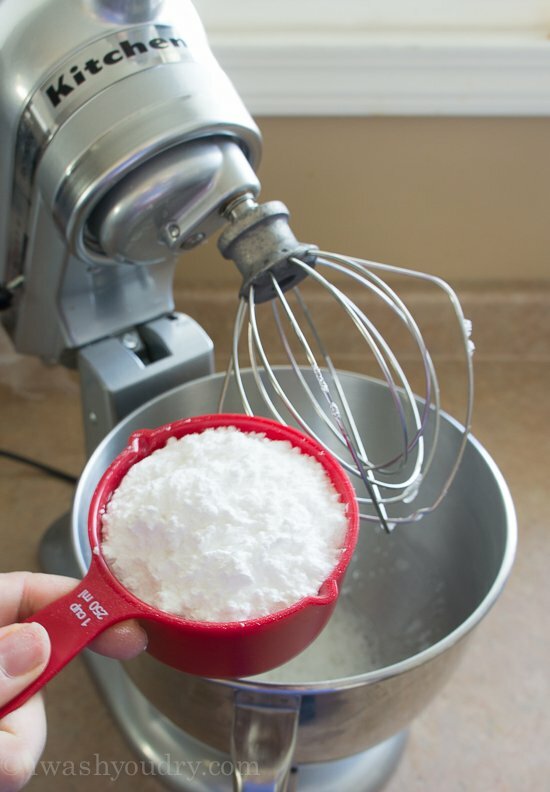 Gradually add the powdered sugar, half of a cup at a time, making sure to scrap down the sides of the bowl if necessary, until the icing becomes thick. Add the vanilla extract and beat until soft peaks form. 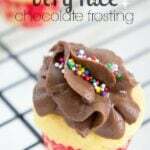 Place the prepared frosting into an air tight container and leave at room temperature until ready to use. Or place directly in to a frosting bag fitted with a tip and use immediately. 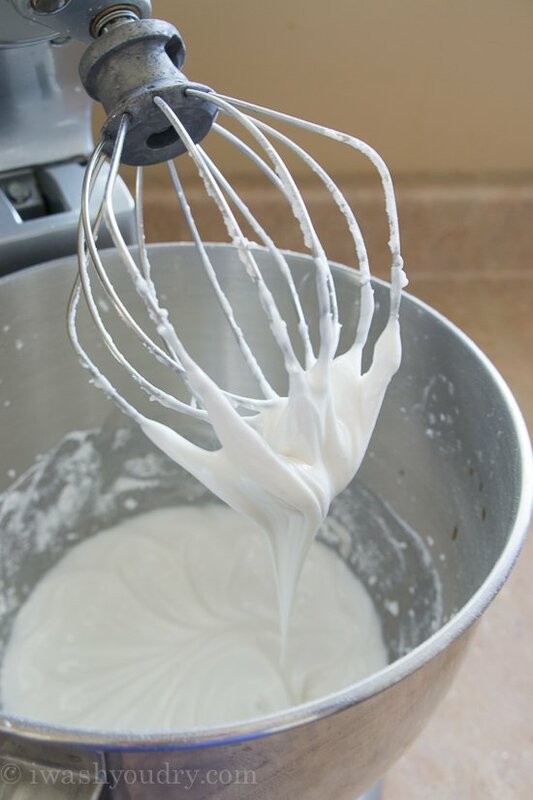 If you have an aversion to consuming egg whites, you can substitute with Meringue powder which can be purchased at craft stores and anywhere cake decorating ingredients are found. How much Meringue powder do you put in if you aren’t using egg whites? 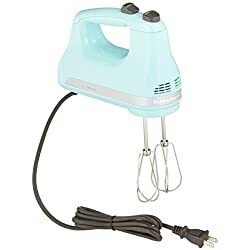 Ive made this several times to decorate cookies but find when using dark colors, after setting out drying for a day, they ‘crystalize’ What sm i doing wrong??? It could have a lot to do with the type of icing color you’re using. Try using the gel type of icing color, I find those give the best consistency. I’m worried about it being “raw” egg whites. Is it safe to use raw egg whites, especially if it won’t be refrigerated? I don’t want to make everyone sick. If you’re concerned, you can definitely use pasteurized egg whites, but I’ve never had an issue with just regular egg whites.